Getting a tattoo is a decision that must not be taken lightly. Not only are you getting marked for life (although there are alternatives to removing them) but also you’re putting your body through a delicate process. After careful thought of what you want to get tattooed, make sure to work with the best tattoo professionals to ensure a comfortable experience and the best possible results. At Mantra Tattoo, we offer you a wide variety of serious and committed professional artists to get you the tattoo of your lifetime. 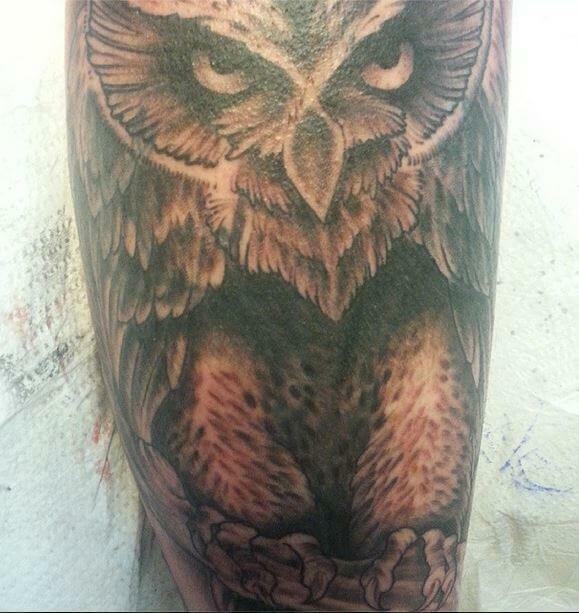 We have the honor and good fortune of working with some of the best tattoo artists. We’re constantly sharing information about them so you get to know them better and make your appointment accordingly. Here are some of them. Don’t have a preferred style and rather trust the artist? Chris is the artist for you. He can do anything, accompanied by amazing American style lines, luminous colors or unique monochromatic designs. 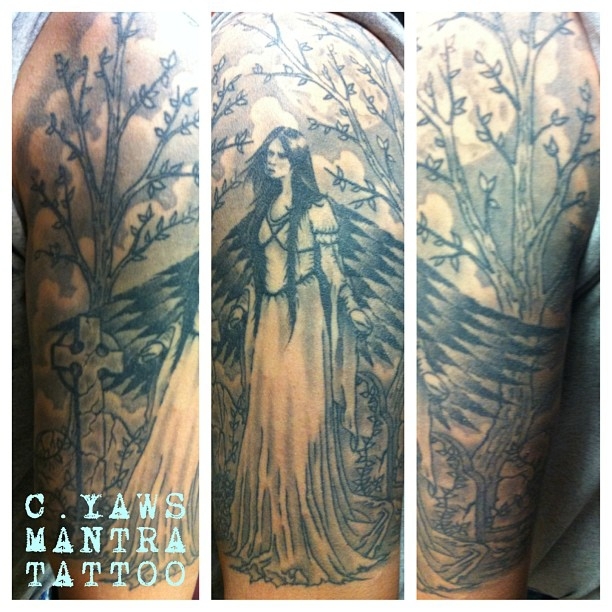 Chris is a very talented tattoo artist that can pull a custom tattoo bringing together the art and tattoo worlds into your skin. Check out his portfolio. More than 15 years of experience make him what we call an all-terrain tattoo artist. 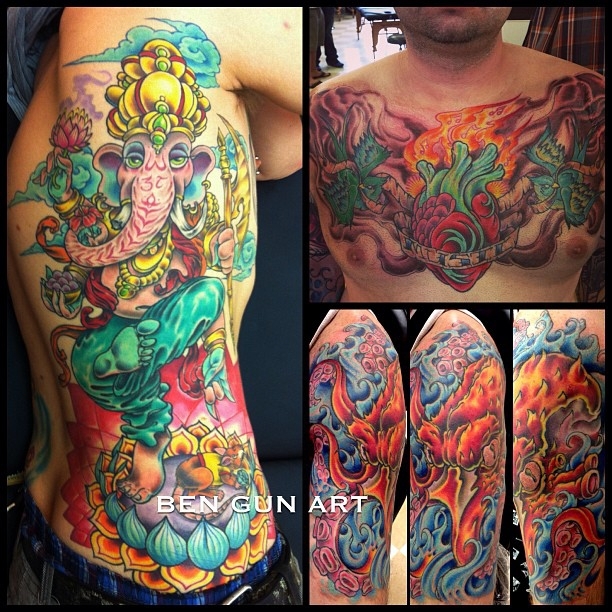 If you’re looking to get a large piece with colorful details, Ben is the indicated for the job. His work is characterized for a watercolor-esque color pallette, ideal for custom tattoos. Check out some amazing pieces. We also get the chance to work with unique globetrotter artists like Delshay. This amazing tattoo artist from Hawaii specializes in military tattoos but can pull off any job he’s asked for. He enjoys great recognition at our shop and his openings get filled in pretty quickly. Take a look at some of the amazing pieces he has created. 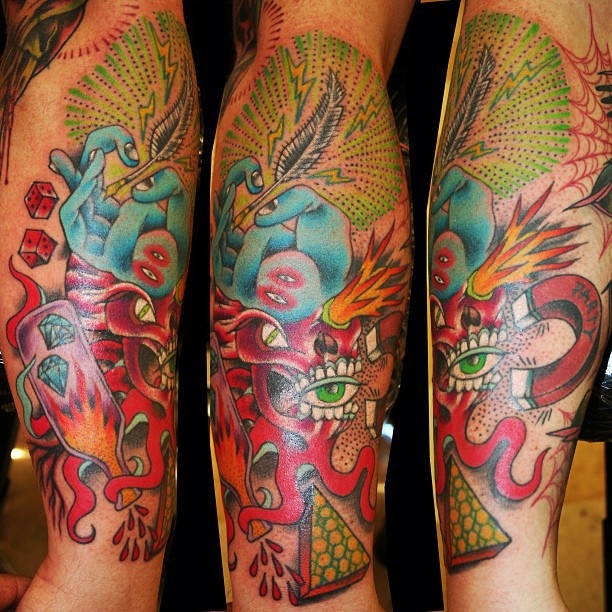 Come visit us to get your custom tattoo designed by one of our experienced tattoo artists in Denver, all of them do custom work and will create the design from the ideas you give them until your perfect tattoo design is ready to be inked. Or come by to pick up a nice piece of body jewelry and get pierced by one of our professional body piercers. Check out some of our top-notch piercing jewelry.